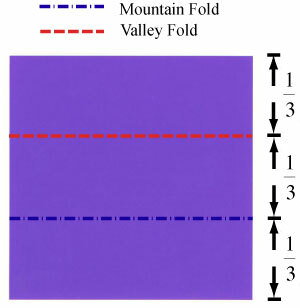 A Z-fold is an interesting folding technique to apply when you are require to fold a paper in three parts in equal length. 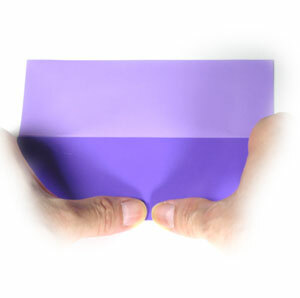 The name "Z" represents the shape of paper when you are applying a Z-fold. 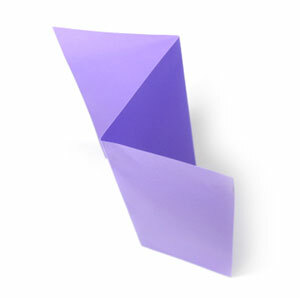 Initially we will be starting with a typical origami square paper. We will make two crease lines which disect the paper by 1/3 and 2/3 exactly. 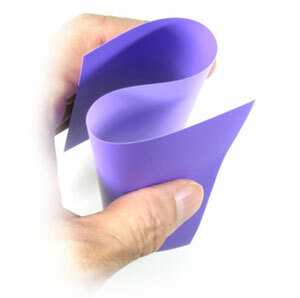 Grap the paper with your left hand. Do not make any crease lines yet. Using both hands as well as fingers to set two layers of left and right edges match exactly. Keep working on both edges simultaneously but not make any crease line yet. 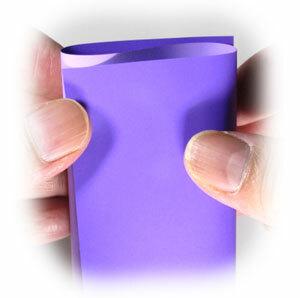 If you think two layers of both edges match exactly, then make two crease lines by using your thumb and index finger. Rotate the model by 180 degrees to wotk on the other side. Now, you will be repeating the steps 2-4. After repeating the steps #2-4, you will a get paper with two crease lines. 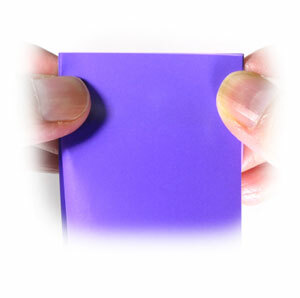 Here each crease line is visible only at both edges. We need to make two clear crease lines. 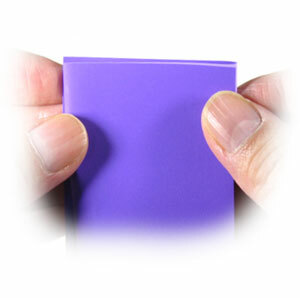 Now, put your fingers on the crease lines made at both edges. 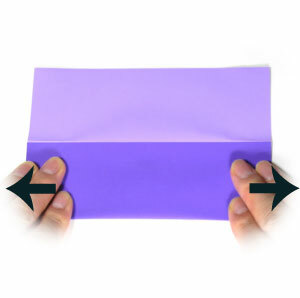 Stretch the paper following the arrow directions. The center region will collapse. 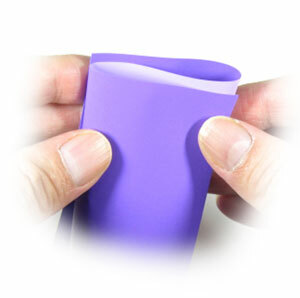 Make a clear crease line using your thumbs. You can repeat the other one using the steps #7-8. 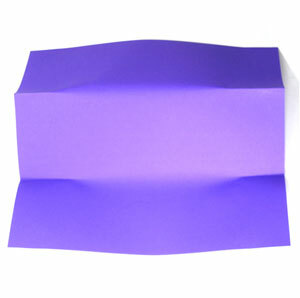 You have completed apply a Z-fold to a paper.